Lucky Brand is renowned for its kicked-back American style. From East coast Urban Fashion to West Coast surfer chic, Lucky has designs, colors, and materials that appeal to the American sense in everyone. The Lucky brand eyewear collection blends modern notions with classic, iconic designs; this approach appeals to fashion savvy citizens from New York, to Austin, and straight through to LA. Lucky Brand's use of color, texture, and design will suit any wardrobe and flatter any face. You can look good day with Lucky Brand eyewear. Lucky Brand Kids D709-Children's is a Full Rim frame for Girls, which is made of Metal. This model features the following temple detail: Converse logo on temple. 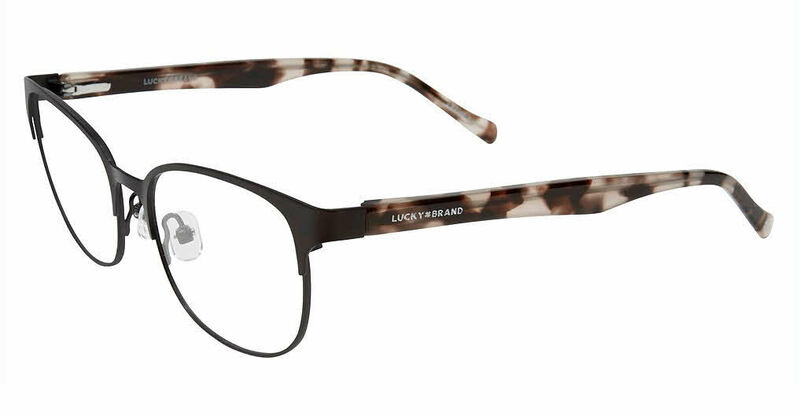 Lucky Brand Kids D709-Children's Eyeglasses come with a cleaning cloth and protective carrying case.